None of the children actually mean to cause a dog harm, with the possible exception of 2-year-old Devon, whom I recently caught standing face to face with Tom, our yellow Lab. She had his lips gripped firmly in her little hands, and she was twisting them backwards, causing Tom to have a most peculiar and unnatural smile on his face. Now Sam has twin baby brothers, and the wagging Lab tails have created a problem of a different sort. The babies were premature, weighing in at 1 pound and change, each barely bigger than an ear of corn. They had to finish cooking at the hospital, and when they were finally sent home a couple of months ago, they arrived with oxygen tanks and monitors and tubes and wires. My son’s house looks like a nearby hospital exploded and rained durable medical supplies into their living room. The Labs went into nanny mode when the babies got home. There isn’t a Lab on this earth who doesn’t get involved when a baby is in the house. Sit down with a twin and a bottle, and there’s Gus on the couch next to you, resting his chin on your shoulder to supervise the meal. I’m sure Gus would remind me to burp a baby if I forgot to. And Little Mac. Well, the very prospect of a lickable baby in the house – two lickable babies! – brings out the whirling dervish in him and sets his tail wagging faster than you can see it moving. It practically hums. Twins Austin, left, and Bryce. Therein lies the problem, of course, when there are wires all over the place connecting two babies to oxygen and monitors. After Little Mac has been through the room, it’s not uncommon to discover a wire just dangling there, just hanging from a twin, unmoored from an oxygen tank by the swipe of a dog tail. Oh my, we say when someone discovers an unattached wire. Who’s not getting oxygen? Is there a twin turning blue in here? Fortunately, neither Austin nor Bryce has ever turned blue and, really, they don’t seem to need the oxygen all that much. Still, Little Mac gets a time-out of his own whenever this happens, banished to the yard to wear out his exuberance by chasing a squirrel or two. And while a Lab never pouts while serving his time, I’m certain that, on some level, he’s “thorry” too. By rights, the boy should have had a big chocolate cake and some candles to blow out. He should have gotten a shiny new bike, maybe a Whiffle ball set. Some ancient uncle should have asked the usual goofy questions like “Are you looking forward to going to school?” because, had things been different, he would have been entering kindergarten in September. That cake and party should have been held last month, five years after the child was born and five years after he was murdered. With no name, no family and no history, he floated ashore in Middletown, N.J. on one of those brutal March days when the wind comes off Raritan Bay like a punishment. He was found by a man out for a walk at a place called Ideal Beach. The boy was naked. His umbilical cord was still attached even after about a week in the water. There had been no reports of missing newborns. A post mortem would reveal two skull fractures that could have been caused by his striking something in the water or, more likely, by some lunatic burdened with this inconvenient infant. An assistant prosecutor in Monmouth County said it was likely that the baby had been tossed into the bay alive. The discovery of this boy came during an epidemic of infanticide in New Jersey. In 1997, a young woman gave birth at her prom, drowned the baby in the toilet, stopped for some salad at the snack table and went back to the dance. In 2000, a woman threw her 15-month old son into the Passaic River because she couldn’t find a babysitter. In 2005, a man beat his year-old son to death because the boy had played with the TV remote. And of course in 1996 the infamous young couple from Bergen County, Amy Grossberg and Brian Peterson, went to prison in Delaware for killing the infant son she had just borne in a motel. There were others. Each of the states, starting with Texas in 1999, has enacted a Safe Haven law that, with some variation in details, allow people to surrender unwanted infants at hospitals, fire houses and police stations. No questions asked unless the baby shows signs of physical abuse. Nebraska’s law was badly written, with no age requirements, and as a result some people dropped off their teenage sons and daughters – clearly not the idea behind Safe Haven. That law has been fixed. Critics object to Safe Haven laws because they think it encourages parents to give up their children. But in fact every legal surrender results in one infant not being left out in the cold, or being put out in the garbage, or getting dropped into the fearful waters of Raritan Bay. If anything, the law needs greater public awareness. Tim Jaccard, the founder of the Long Island-based AMT Children of Hope Foundation and an outspoken supporter of Safe Haven laws, said that 220 babies have been legally abandoned in New York since 2000. During the same period 22 babies were improperly surrendered: Only eight of them were found alive. He estimated that 1,826 children have been legally surrendered nationwide since 1999. In New Jersey, the Department of Children and Families reports that in the last eight years, 38 Safe Haven surrenders had been made. Of course, no one can say what would have happened to those children if there were no such law. But what really matters is that 38 kids are alive today. In the same span, another 28 children in New Jersey were involved in “unsafe surrenders,” which is sterilized bureaucratese for babies found dead or critically injured. Some months after the little boy washed up at Ideal Beach, a funeral was held for him at St. Anne’s Cemetery in Wall Township. Attending were a gravedigger, a man from a funeral home, a priest, a reporter and a photographer. The cemetery donated a gravesite in a section reserved for babies and children. The undertaker provided a tiny casket and some white carnations and purple delphiniums. The priest decided that the baby would be called John. Then, as the gravedigger lay down on the ground to lower the little casket into the earth, the priest prayed. He prayed that John had deserved the dignity due all people; surely he knew John deserved such respect. He implored God to bless the grave and to take John into his presence. He referred to John as “our child” and asked God to grant John eternal happiness. Now, five years later, John’s killer remains free. Author’s note: “Friends to the End” is a fictional serial. Though it takes place in the Mid-Hudson, and many of the places are identifiable, the story and the characters in it are fully fictional. Any resemblance to real-life people, events or businesses is purely coincidental. James Dunning pulls onto I-84 and headed west. Beside him, Zoe stares blindly into the night, makes a little whimper, then curls into a tight ball and snuggles against his thigh. In a moment, she is asleep. James runs his hand along her back, feeling her rough coat and the dog warmth just beneath it. He is close to tears. But he’s volunteered to do this. He has to be the one to do it, and he knows that. Susan could never have handled it. She’d be crying so hard right now she’d drive off the road. There was no choice, that was the worst thing. There was just nothing else they could do. The Record had cut his job and kicked him out, just like that, after more than 20 years. Kicked him out and by now, kicked out more people than he could list. Susan’s hours at the college had been cut, too, and this had come as a complete shock, because more people were going to school, and from what James can see, about 90 percent of them are completely nuts, completely in need of counseling, and since Sue works part-time and gets no benefits, it seems to him that she should be the one to get more hours, not fewer. Sue’s hours are down, and James has simply not been able to get a job. Hell, all he knows is how to write and edit, and who needs those skills these days? Who cares about those skills? Who even knows that people have those skills, or cares that there’s a difference between a good sentence and a bad one, or that “eager”means one thing and “anxious” means something else? James has been looking for work. He’s applied at Shop-Rite and McDonald’s and Wal-Mart. He’s applied at Gander Mountain and Panera Bread and Home Depot and Lowe’s. He’s applied to Orange County tourism, Sullivan County tourism, the new hospital, the old hospital, Bethel Woods, every marketing firm around, and every government job he could conceivably accomplish. He’s applied to every newspaper in the area, all the papers in the City, and every magazine within 100 miles of their home in Mamakating. He’s gotten nothing. Nothing, nothing, nothing. The papers and magazines aen’t hiring. The chains see him as overqualified and destined to be unhappy with the salary they could pay him. And the others, the marketing groups and tourism people and county governments, they just don’t respond. For weeks, he’s chased them down by phone and in person, trying to find someone, anyone who would interview him – if he could just get an interview, he’s sure he could get a job – but finally, broken and exhausted, feeling like a stalker, he’s stopped. And now, he and Susan have gone through nearly all their savings. They can keep up with the car payments, and they’ve nearly paid off the credit cards, but they can’t keep the house and live in it, too. Their only hope is to move in with Susan’s mother, and she’s happy to have them (happy, really, to have her daughter and granddaughter living under her roof, James thinks, and willing to take him in trade). If they lived with her, they could rent out their house, and in a year or two, move back in and resume their lives. The renters are scheduled to move in tomorrow, and so, there is just this one thing between them and safety. This one warm, soft, mostly blind little thing, sleeping soundly on the seat beside him. I didn’t intend to launch my entrance into the blogosphere with a lot of stuff about what I like, don’t like, who I think is a moron and other strictly personal observations kept in check, of necessity, during 23 years of writing editorials for the Times Herald-Record, but I spotted something on Facebook the other day that changed my mind. First off, yes, Facebook. I had no idea what it was until a couple of weeks ago when two friends fessed up that they had Facebook pages and Time magazine ran an article explaining why it was the ideal Internet social network for grownups. Being retired and having some time on my hands to explore new horizons, I joined the throng. But don’t come looking to have conversations with me or anything like that yet because I still don’t quite get it. And I only have two friends, one of whom is my 17-year-old son, who does get it and who I asked to make me a friend so I would have at least one. But then someone else asked to be my friend and, since I do know her and always considered her to be a reasonably sane and decent person, I said yes. Then, of course, I checked to see who else she counted among her friends. Yes, it was that Keith Olbermann, the left-wing TV blowhard whose ego is actually bigger than his head, the liberal response to Rush Limbaugh and all the other right-wing blowhards who have trashed traditional journalistic commentary in favor of the much easier and — at least to those of their fans who aren’t overly concerned with facts and logic — the more entertaining approach of trashing and burning everything said or done by someone they don’t like. Yes, I think most of the far-right bloviators are all about getting ratings and recognition rather than trying to help listeners really understand what is going on in the world and most of them continue to operate that way even though a strong majority of Americans rejected that approach by electing Barack Obama president. 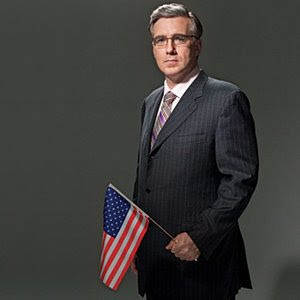 But while I might share much more of Olbermann’s political philosophy, I find him to be just as unwatchable as the pompous Limbaugh, the excitable O’Reilly, the insufferable Ann Coulter and the shameless Lou Dobbs. It’s not just the Olbermann ego, it is his unrelenting smugness. The “I get it and I am now going to explain it to you in an-oh-so-clever way that you can’t help but think the target of my attack is an utter imbecile and I am a genius” approach. The only one on Olbermann’s side of the political spectrum who is more convinced of his own moral and intellectual superiority, who masquerades as a political pundit while dropping sarcastic asides like so much bad gas, whose smugness literally oozes out of his pores when he speaks is HBO’s Bill Maher. Once upon a time he was a so-so standup comic. Then he discovered that millions of other Americans realized their emperor had no clothes and made a new career of ridiculing “W”. Fair enough. He had it coming. I’m no fan of Bush 43 by any means. The only thing I’m saying is that smug is smug and self-righteous is self-righteous whatever label you put on it and I don’t like it. It makes my skin crawl and I don’t see how it contributes to the general well-being of society. That is a personal view. I cannot warm up to people who are pompous, arrogant, deceitful, self-serving, ill-tempered, intolerant or just plain dumb and proud of it. For the record, my friend on Facebook is none of those, but seeing Olbermann led me to think of Maher, who led me to Blago, the carny governor of Illinois and that stooge Burris who ought to be hauled out of the U.S. Senate by his collar, who led me to David Stern, the commissioner of the NBA who insists that borrowing $200 million to divide among 12 to 15 teams is a sign of the league’s strength, which led me to wonder if there was any pro sport whose athletes whine more about officials’ calls than he NBA, which led me to the absolute travesty Major League Baseball Commissioner Bud Selig and the baseball players union have made of the steroid scandal and the futility and hypocrisy of Congress getting involved in it at this late date when there are so many more pressing issues to tackle which led to wonder just what the heck was that woman who had the octuplets thinking and why is the doctor who implanted all those eggs in her even though she already had six kids and no job still practicing medicine? Like I said, now it’s personal. “This isn’t personal” is another expression you might consider avoiding while explaining to a person that he is losing his job. Who do you think you are firing, a cow? Don’t get me wrong. I know it is hard for you. I happen to have some experience in this regard, once having been called on to fire 6 people who reported to me in the editorial department of a medical publishing company that had fallen on hard times. To prepare me I received expert training from the head of human resources at our parent company, an affable fellow named Lou, who brought me to corporate headquarters to begin the lessons. “Okay,” he began. “Pretend that I’m Barbara and you just called me into your office. What is the first thing you are going to say?” Barbara, a secretary, was an excellent worker and also a devoted single parent of a young son. But eventually I got the hang of it and when it was time, I performed professionally, appearing calm even through the awful shrieks, wails, and cries of desperation that punctuated several of the sessions. Lou was there to witness it all. When it was over I called my wife and began to share the anguish I had somehow managed to keep in check. Before I could finish Lou took the phone from me to tell her what a great job I had done and how proud she should be of the way I had handled it. A few months later I lost my job when the parent company decided to close the place. As part of my severance package I was given two months of outplacement services. One day at outplacement I heard a familiar voice speaking on the phone in the cubicle next to mine. It was Lou. Listen, I know how it feels. If you must get choked up or teary eyed, please wait until I am out of the room. Maybe it would be better if you did it the way they used to in the old movies or comic strips: Mr. Dithers to my Dagwood Bumstead. Glare at me and snarl, “Kaufman, you’re fired!” But please don’t make me feel bad for you. I don’t care if you are an old friend or someone I barely know. You still have your job. I have to figure out how I am going to support myself and my family now that I don’t have mine. The Balloonist’s Prayer. “The winds have welcomed you with softness. The sun has blessed you with its warm hands.You have flown so high and so well that God has joined you in your laughter. And set you gently back again into the loving arms of mother earth.” – Author unknown. The balloon flight was with Above The Clouds, Inc., of Middletown, N.Y. The Fishermen. Like father like son. Maybe the little boy dreams of catching the biggist fish in the Delaware River and the father's dream is gently remembering the first time he went out fishing with his own father. The scene is on the Delaware River somewhere between Callicoon and Hankins, N.Y. The recent swine flu outbreak highlighted how our food system is making us sick. Our best antibiotics are losing their effectiveness, and we are percolating super microbes on our factory farms. Antibiotics have saved countless lives, but recently antibiotic-resistant infections are on the rise. Microbes have been on the planet a lot longer than we have, can evolve a lot quicker, and have begun to overcome our best defenses. Currently, more than two million Americans are infected each year by resistant germs, and 14,000 die as a result, the World Health Organization reports. In an effort to produce cheap meat, factory farming has been cramming more and more animals into smaller spaces, and feeding them antibiotics to prevent infections. When antibiotics are given to a living creature, our systems can only use about 5 percent. The rest (95 percent) is excreted into the environment. Snippets of antibiotic DNA wind up in soil microbes and other bacteria because these tiny creatures “swap” genes, constantly exchanging genetic information and evolving. One study found antibiotic-laced DNA in all water sources tested; from effluent ponds on factory dairy farms, wastewater recycling plants, to drinking-water treatment plants, and even wild river sediments. Amy Pruden, one of the study’s researchers, found that the DNA that helps make germs resistant to antibiotics was hundreds to thousands of times higher in water affected by people or factory farms, but still prevalent in smaller quantities in pristine water sources. A 2001 study by University of Illinois microbiologist Roderick Mackie documented antibiotic-resistant genes in groundwater downstream from pig farms, and also in local soil organisms which normally do not contain them. His research found that tainted DNA was in the bodies, underfoot in the soil, and in the water around conventional feedlots. Mackie noted that soil bacteria around antibiotic-using farms carried 100 to 1,000 times more resistance genes than the same soil bacteria around organic farms. Wastewater lagoons attract wildlife like migratory geese and ducks that carry strains of the Avian Flu. When the wildlife add their microbes, we create an unnatural combination of resistant bacteria. Worse, feedlots often use the wastewater lagoons to irrigate crops. A University of Kansas environmental engineer noticed a dramatic spike in antibiotic resistant genes happening on one Kansas feedlot. He discovered that new calves were given “shock doses” of antibiotics which they promptly excreted into the lagoons. That effluent was pumped to the fields to fertilize the cattle feed. They were spraying the crops with highly resistant bacteria from the lagoon, and then feeding it back to the cattle, which we later eat. Conservation medicine has been warning us for years about the potential for an outbreak. Doctors estimate that 75 percent of human illness originates with animals, such as Avian Flu, Lyme disease, West Nile virus, Legionnaire’s and so on. Preventing and treating outbreaks through conservation medicine involves treating the root environmental problems, such as loss of deer habitat bringing deer (and ticks carrying Lyme) closer to humans. Another study of the mouths of healthy kindergartners found that 97 percent had bacteria with antibiotic resistant DNA for four out of six tested antibiotics. Resistant microbes comprised 15 percent of the children’s oral bacteria, although none of the children had taken antibiotics in the past three months. A study released in March found standard soap and 10 seconds of scrubbing to be among the most effective ways to get rid of bacteria. With 10 seconds of scrubbing, soap and water gets rid of the common cold virus, hepatitis A, and a host of other illness-bearing germs, the study found. Eat local! Support small-scale local farms that produce meat using organic practices, and “free-range”, or “pastured” methods instead of confining animals (and microbes) to small areas where disease breeds. These farms can be found on www.LocalFood.org. Shawn Dell Joyce is an award-winning sustainability writer, artist, and founder of the Wallkill River School in the Mid-Hudson region of New York. Shawn can be reached at shawn@zestoforange.com. Even after the Record put me out the door last May, I continued to dutifully tear off calendar pages each evening from my George Bush Countdown Calendar. It is one of many Bush calendars that readers gave me after I began counting down at the end of each column about 1,200 days ago. I saw no reason to stop just because I was out of a job. I have just now torn off Jan. 19, 2009. That was the “1 day left” page. It is a few hours short of midnight, but, after eight long years of waiting, I confess I could wait no longer to see the words on the very last page. As usual, who knew what he was talking about back in 2004 when he ended a speech with those words. In fact, who ever knew what he was talking about, really. Surely not even Bush himself. But tonight my calendar says “0 days left.” Those are the only words that matter now. Those are the words you and I have been waiting for so long to say. And we most certainly have some idea what those words mean, so filled with promise and hope as they are. The moment we waited eight years for.I would like to move on forever from talking about George Bush – I resent the fact that such a mean, shallow, greedy man has occupied so much of our time – but before moving on, I will say two more things. First, I’m torn between wanting to see him tried as a war criminal and wanting to never hear his name again. No one should be above the law, especially a president. But I understand Obama’s need for a cooperative Congress, and if he goes after Bush, he will have a partisan mess on his hands. Ideally, perhaps the World Court will do the job for us. Bush has offended all of the people on this good earth. He has tortured and lied and spied and wrecked and killed and maimed. He has brought us all to the brink of another Great Depression. Let’s hope the world at large takes on the task of treating him as the villain he is. Second, I’d like to thank George Bush once again for being such a dismal failure. Had he not been, I suspect this last election would have been business as usual. Instead – imagine it! – Americans have actually elected a man whose last name rhymes with Osama, whose middle name is Hussein and who, by the way, is black. And, most preposterous of all – imagine this! – he’s smart. Good lord, we actually have a smart president. And we have a First Lady is who the real McCoy. If Barack hadn’t been running, I’d have voted for his wife. With Obama at the helm – and with the incredible brain trust he’s bringing to his cabinet and other leadership positions – I feel that I can go back to doing what I used to do. I can go about my business and trust that our country is in good hands. And I can stop being so mad all the time. I want to help. I’m ready to roll up my sleeves and do anything this president asks of us to restore our once-proud America. I’ve got all the time in the world to help – I am, after all, among this nation’s growing millions of unemployed. I will gladly toil at public works projects, I will gladly bring whatever is needed to President Obama’s table, I will gladly be any small part of this new Camelot.I am grinning with the joy of it all. Meanwhile, Tom and Huck join me in hoping the Obama family is successful in finding an awesome hypoallergenic pound dog for Malia and Sasha. My dogs, by the way, are still happy to have me home most of the time although I can foresee the day when they’d really like me to get the hell out of the house so they can take an uninterrupted nap. As I hit the “send” button on my computer, I’m happy to report that there are 12 hours left ’til noon, Jan. 20, 2009. Alex Rodriguez is a prisoner of his own mind. Blinded by pride — the mother of all sins — and unable to speak, perhaps even to see the truth, he has managed to turn what might have been the greatest baseball career of all time into a traveling sideshow of contradictions, disappointment and lies. So many lies. So engrossed is he in protecting what he regards as most important in life — his image of himself — he could not even allow a confession of wrongdoing, a moment of humility, to be simply that. Exposed by a reporter as one of baseball’s growing number of steroid users, Rodriguez had the good sense not to deny what was evident. Yes, he had used a substance for three years when he was playing in Texas, he said. “I screwed up,” he said at his recent press conference. He was “young,” he said. He was “naive,” he said. He was “stupid,” he said. It was a “loosey-goosey” period in baseball, he said. Were you cheating? he was asked. “I’ll leave that to others to decide,” he answered. Of course he was cheating. That’s the whole point of using illegal performance enhancing drugs — to gain unfair advantage against one’s peers. It doesn’t matter if others were doing it as well, it was cheating. And when he told Katie Couric on TV that he had never used steroids, he was lying, because he thought the evidence would never be made public. And by his own admission, he only stopped using steroids when Major League Baseball instituted a test and penalties for steroid use. There is nothing admirable in that. Nor was there a lot to admire in his confession/apology. He gets points for saying he did it, unlike others who continue to deny. But if that’s the case, why did he need a prepared statement to read to the press? Just tell your story. This is not a stupid man. This is not a naive man. He was no kid when this happened. This is a world class superstar whose physical condition is his fortune and whose private life is front page news as much as his baseball exploits are back page news. He knows what he did. He knows how many times he did it, how he did it. Why he did it. It is not believable to say otherwise. He probably remembers every home run he hit in Little League, every touchdown pass he threw in high school, yet he would have fans believe he did not remember the first time his cousin, or whoever it was, injected an illegal substance into his buttocks, where it happened, what it felt like and what the drug did for him as a baseball player? Maybe the only genuine moment in his press conference came when he began to thank his teammates for showing up to support him. He choked up and couldn’t say anything for half a minute, finally managing a “Thank you.” The toughest skeptics have claimed it was staged, that he was acting. I don’t believe that. I believe that Rodriguez, a man so unused to letting down his guard and showing genuine emotion in public was truly overwhelmed by what he had to know was a strong display of support that he did not deserve, something he could only imagine giving in lip-service terms. After all, he had betrayed these teammates, cast further doubt on the performance of all baseball players and, as he has ever since coming to New York, made everything all about himself again. Of course, the Yankees need Rodriguez to perform well on the field and he has nine years left on his contract, so they would like him to perform in a manner befitting the highest-paid player in the game. Judgments on the records and the Hall of Fame can wait for now while he tries to salvage his reputation. That will not happen if he continues to nourish his pride and protect his ego. Half-measures will not do. Which brings us to the so-called rehabilitation of A-Roid. The Yankees and their third baseman announced simultaneously with the press conference that he would be lending his support to the efforts of the Taylor Hooton Foundation to combat steroid use by young athletes. The foundation was established by Don Hooton after his son, a high school athlete, became seriously depressed from taking steroids and committed suicide. And just what is Rodriguez going to do for the foundation? Give it money? Fine, it can use it. That’s easy. But, hey, Mr. Rodriguez, didn’t steroids help you get that $300 million contract? Didn’t they help hook you up with Madonna? So what’s your message to high school and college athletes? Don’t be naïve, don’t be stupid, don’t mess up, don’t get caught? Why is it wrong to use steroids without a prescription, Alex? Are there serious physical risks? Mental risks? Do they become addictive? Besides being illegal, is it unethical? Does it rob you of your self-worth? Does it diminish your accomplishments? Is it for crying out loud, cheating? And does it leave you, ultimately, worrying solely about how you appear to everyone else and utterly clueless about who you really are? Until the greatest ballplayer of his era can answer those questions honestly –and he hasn’t even tried yet in public — he has nothing of value to tell young America. Where Are Green Collar Jobs? What is a “green collar” job? “A green-collar job is in essence a blue-collar job that has been upgraded to address the environmental challenges of our country,” according to Lucy Blake of the Apollo Alliance, which is helping to transition the economy from fossil fuels to renewable energy. Green collar jobs that are generated by encouraging energy efficiency would include jobs like home energy auditors, insulation installers, weatherization workers, retrofitters for buildings, and solar installers for electricity and solar hot water systems, other green jobs would be brewing bio-fuels, building hybrid cars and erecting giant wind turbines. Labor unions view these new jobs as replacements for positions lost to overseas manufacturing and outsourcing. Urban groups view training in green jobs as a route out of poverty. And environmentalists say they are crucial to combating climate change. Obama considers them part of the economic stimulus plan. Many jobseekers are looking to green jobs like Jack Christmann of Energy Appreciators who is doing a blower-door test to measure a home’s energy efficiency. According to Van Jones, from the Ella Baker Center for Human Rights, and Oakland, CA’s Apollo Alliance, green collar jobs are manual-labor jobs that can’t be outsourced. Many people have been laid off or lost jobs in the recent economic downturn. Young people coming out of college are facing a challenging job market. Some of these people are opting for entry-level green jobs like a $12/hour job weatherizing senior housing, with potential to grow to $40/hour as a certified home energy auditor. You could start at $18/hour working as a solar technician, and work your way up to $50 per hour as a certified solar installer, as another example. Meanwhile, job training for millions of green collar jobs has to happen right away. Infrastructure needs to be set up for training, and funding for that has to come from somewhere. Funds could come from a tax on global warming pollution. Or revenues from a cap-and- auction system where heavy polluters buy pollution rights and that money is used to fund green job training centers. Jones’s Oakland, CA-based Apollo Alliance helped to raise $250,000 from the city government to create a union-supported training program that will teach young people in Oakland how to put up solar panels and weatherize buildings. Jones is partnering nationally with other environmental activists like Majora Carter from Sustainable South Bronx in NY, for congressional support of $125 million-far less than most corporate bail outs-to train 30,000 young people a year in green trades. Shawn can be reached at shawn@ZestofOrange.com.